Dry, scaly skin is a year-round skincare dilemma for some, but can be particularly heightened as the weather starts to turn cooler. 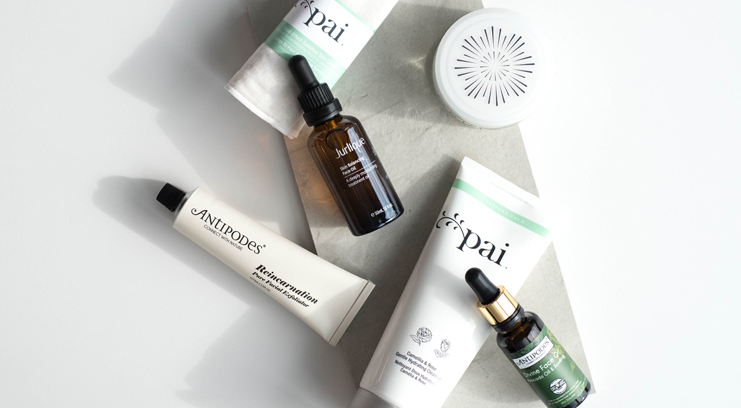 So, as temperatures drop, and in pursuit of healthier, better hydrated skin, we’ve researched the five best ways to rescue your dry skin, accompanied by a list of our favourite hardworking hydrators. Treating dry skin is about more than just investing in moisturiser. You’ll reap skincare benefits by ensuring that every aspect of your routine is geared towards conditioning and rehydrating. Cleanser generally tend to leave skin a little drier, so invest in a gentle cleanser with a fragrance- and alcohol-free formula to avoid further irritating and drying out skin, and avoid anything astringent or foaming. Once clean, apply moisturiser immediately in order to lock in moisture right away. Pai Camellia & Rose Gentle Hydrating Cleanser – With a potent blend of omegas and vitamins to soften and treat dry skin, the soft creamy formula doesn’t strip moisture or incite further dryness; it’s the perfect choice for skin that’s feeling tight or looking a bit dull. Exfoliation is one of the most effective ways to treat scaly skin, just don’t overdo it – as this can trigger further dryness. Gentle physical exfoliation will help to sweep away and smooth rough, dry skin. Pay attention to how an exfoliator makes your face feel after it’s applied. Some scrubs can be too harsh for already sensitised skin and will further exacerbate dryness. If this is the case, simply switch to a gentler, more refined alternative with a creamier texture. 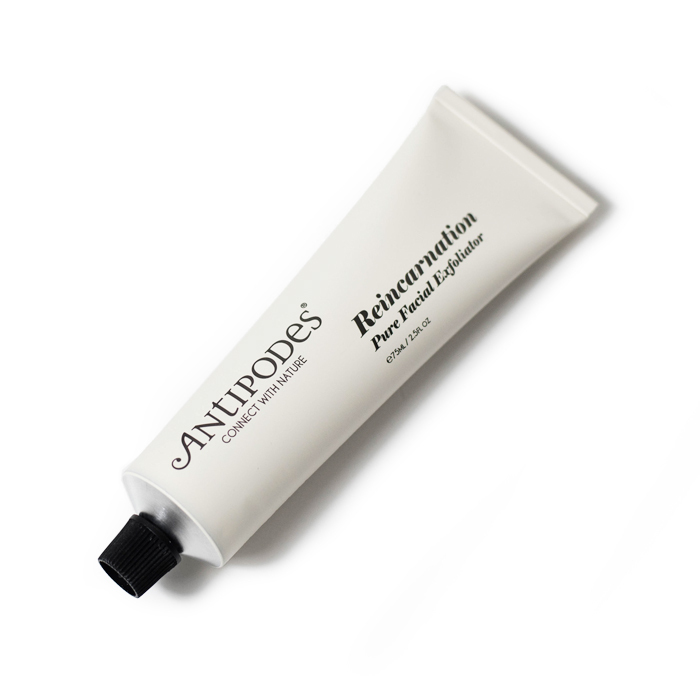 Antipodes Reincarnation Facial Exfoliator – An efficient way to exfoliate without aggravating dryness, this cleansing exfoliator utilises jojoba beads (a virtuous alternative to microbeads) to buff away patches of chapped skin. 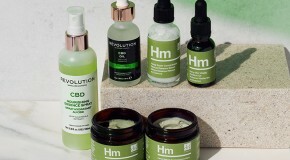 What’s more it’s also infused with avocado and calendula oils so it’s ultra-hydrating for your skin. If dry patches, tight skin, and flaky woes sound all too familiar to you, then adopting an inside out approach to skincare could be the start of a new chapter. Eating foods rich in fatty-acids (such as fresh fish, olive oil, avocados, eggs, and leafy greens) will help to nourish your skin cells. Similarly drinking plenty of water and cutting back on caffeine will prevent dehydration from showing in your complexion, and will boost your overall skin health. That being said, dry skin is extremely sensitive to external stressors, so it’s important to adopt a dual-pronged approach. Oils are one of the most important elements in treating dry skin as they repair the skin’s protective barrier from deep beneath the surface, where damage begins. 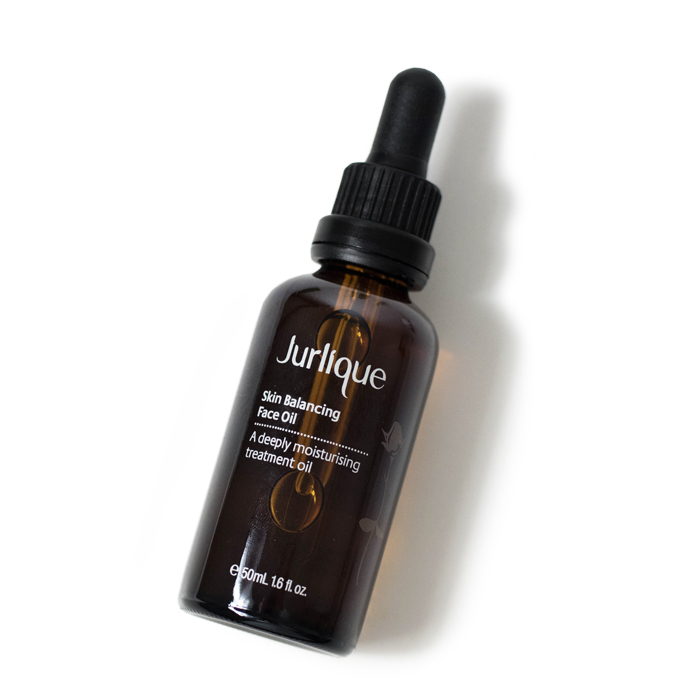 Jurlique Skin Balancing Face Oil – A nice simple way to bring your skin back from the brink of dryness and accompany your ‘skincare from within’ approach. Rich and beautifully scented, this will keep skin hydrated no matter how dry it gets. What’s more, it feels like a decadent, indulgent facial when you take the time to slowly massage it in. Need an extra boost of hydration? An easy way to get your facial fix with minimal time and effort required, intensive treatment masks will bolster your rehydration efforts to prevent peeling and tight skin. Slap one on whilst you’re cooking dinner or as you catch up on Netflix and embrace softer, smoother skin around fifteen minutes later. Apply bi-weekly for maximum results. 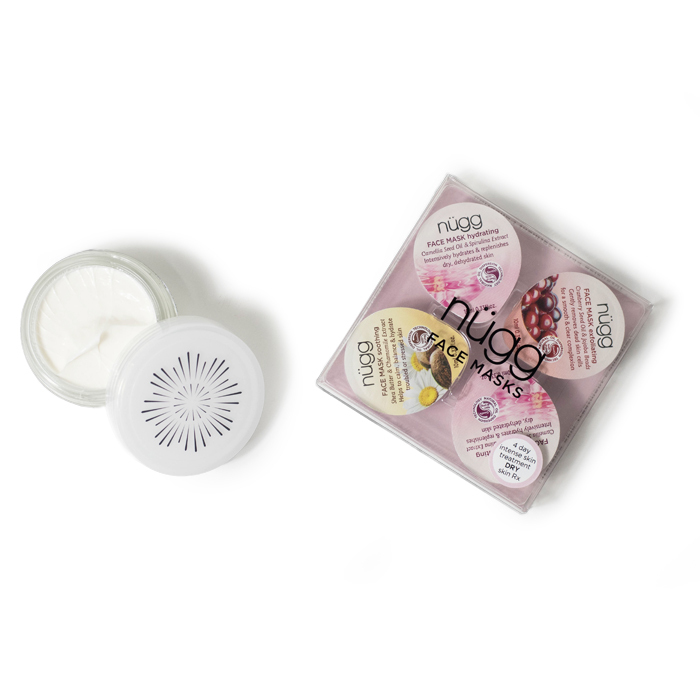 Nugg Dry Skin 4 Day Intensive Skin Treatment Collection – The combination of vitamins and plant extracts work to plump and soften skin in no less than 20 minutes, leaving it immediately supple and moisturised. It’s express skincare at its best. Oskia Bed Time Beauty Boost – Indulge parched skin overnight with this intelligently formulated mask – formulated to work whilst you sleep to restore skin’s radiance and hydration levels via a cocktail of conditioning ingredients. Skin’s moisture barrier is made from natural lipids that work to retain moisture. When this barrier is damaged – due to products, environment, hormones, and genetics – it cracks and allows moisture to escape, leading to tight, dry, flaky skin. Viscous, buttery creams are perfect for reinforcing this barrier as they’re rich in ceramides and fatty acids that help to retain moisture. Applying moisturiser day and night is an essential part of your skincare routine anyway, but when your skin is dry it’s important to find the right one – i.e. something that will fill your face with moisture and seal it in tight. Embryolisse Lait Crème Concentre Nourishing Moisturiser – Responsible for restoring the depleted complexions of supermodels backstage, this cream may be hyped, but it certainly delivers when it comes to providing lasting moisture and restoring a soft, smooth texture to skin. 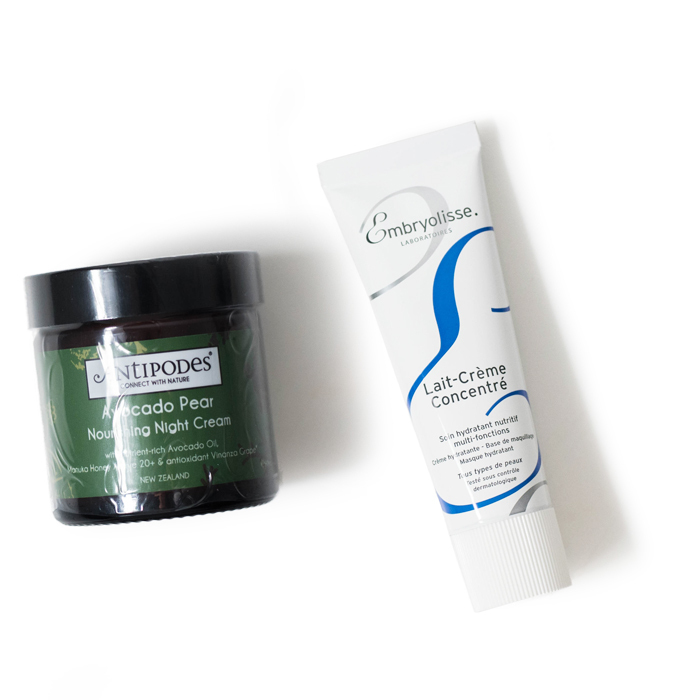 Antipodes Avocado Pear Nourishing Night Cream – The ideal antidote for a complexion that’s suffering from a severe case of dry skin, this luxurious night cream is enriched with Manuka honey and vinanza grape, which help to prevent moisture loss. Massage into skin at the end of a long day to perform intense overnight hydration efforts.